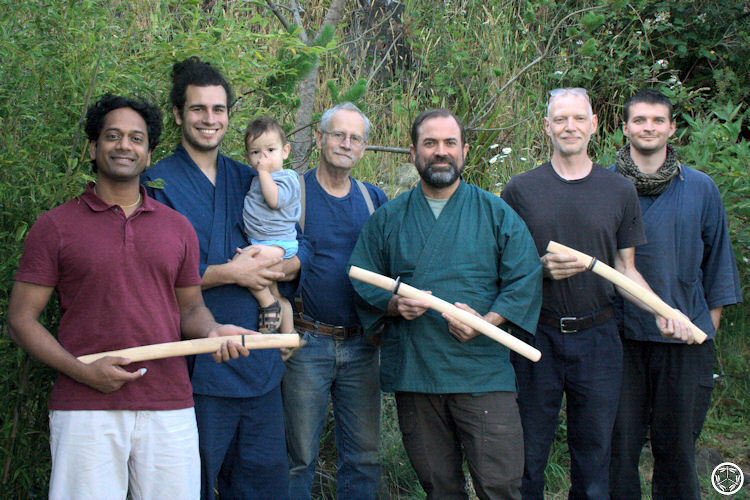 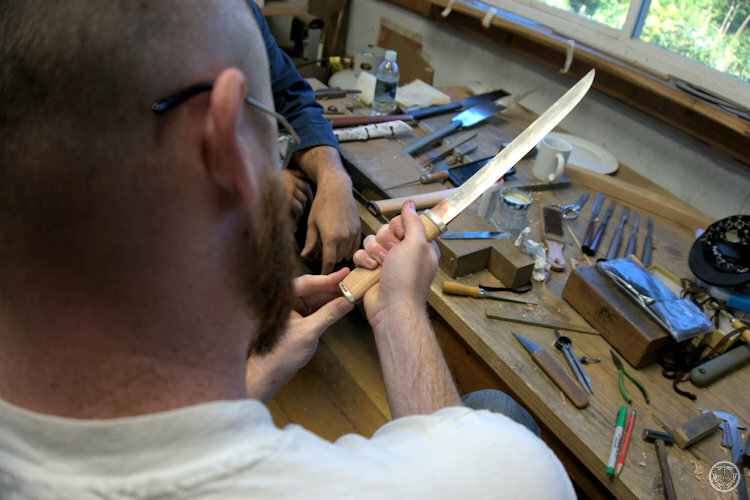 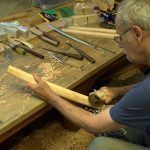 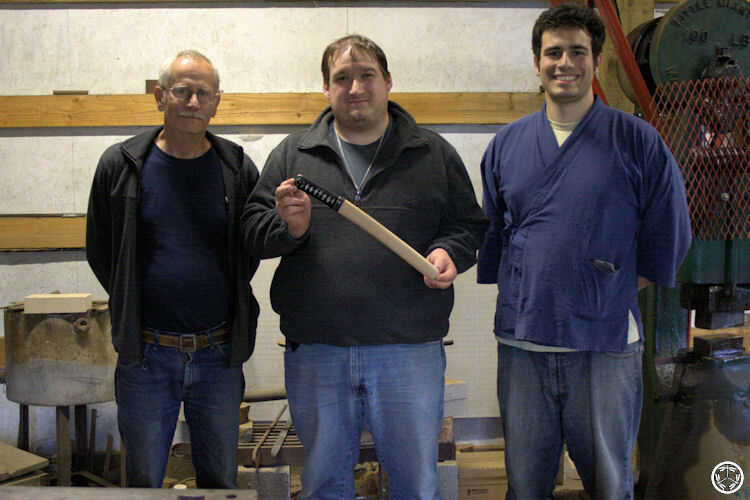 Students will learn how to carve handles (tsuka) and scabbards (saya), as well as fitting tsuba, fitting seppa and fitting fuchigashira to the tsuka. 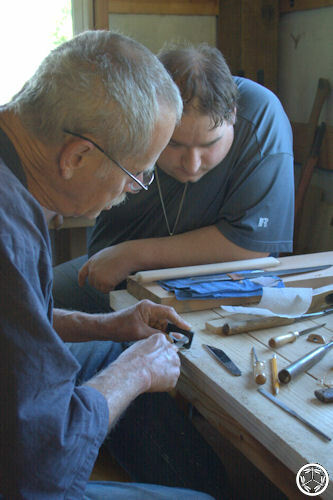 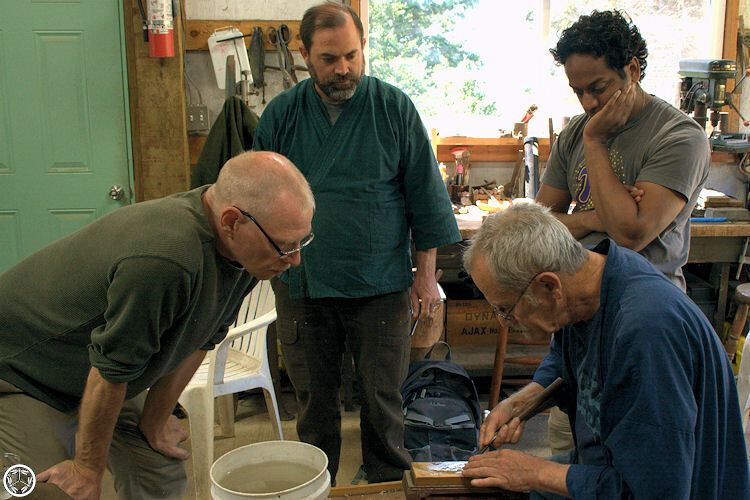 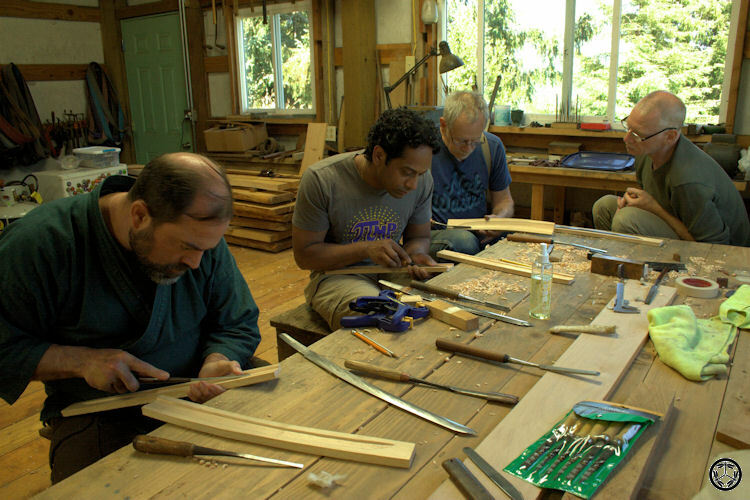 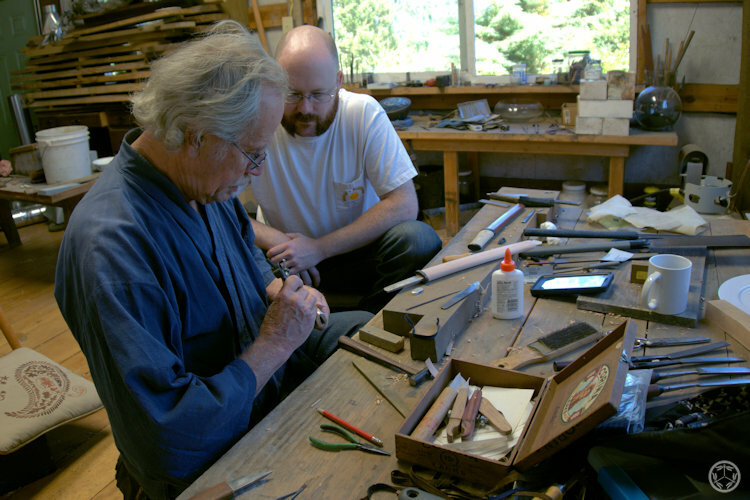 Included in the course is the making of mortise and tenon kojiri and koiguchi, and kurigata made from buffalo horn. 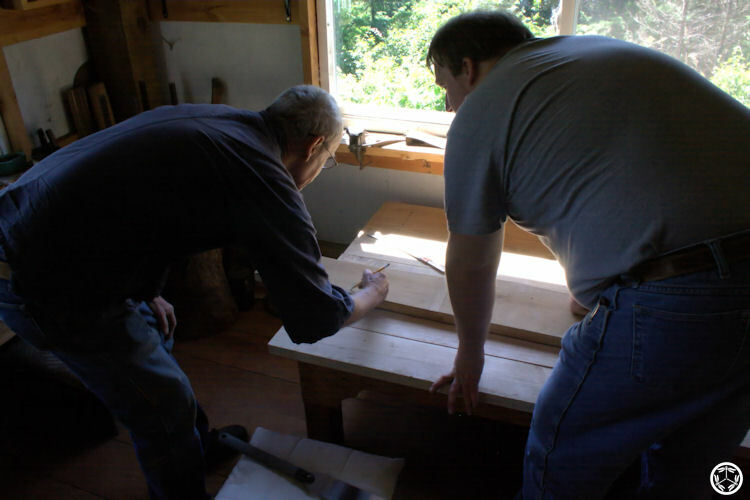 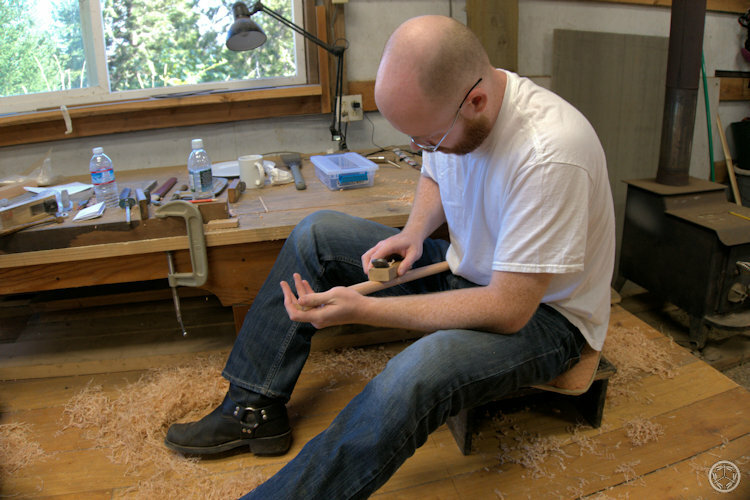 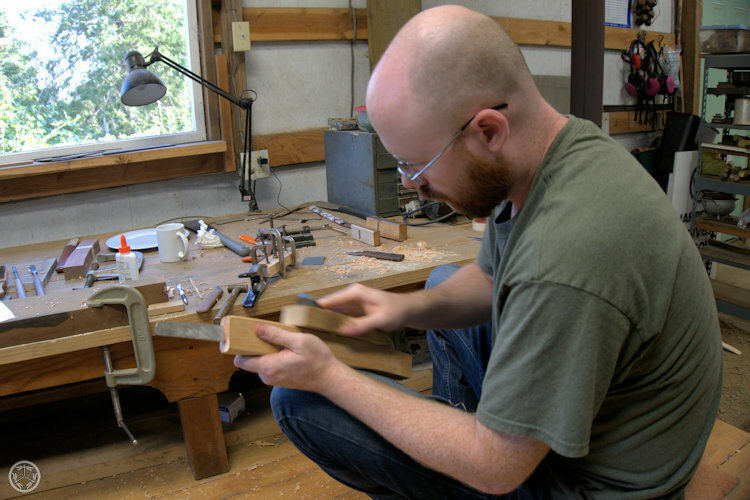 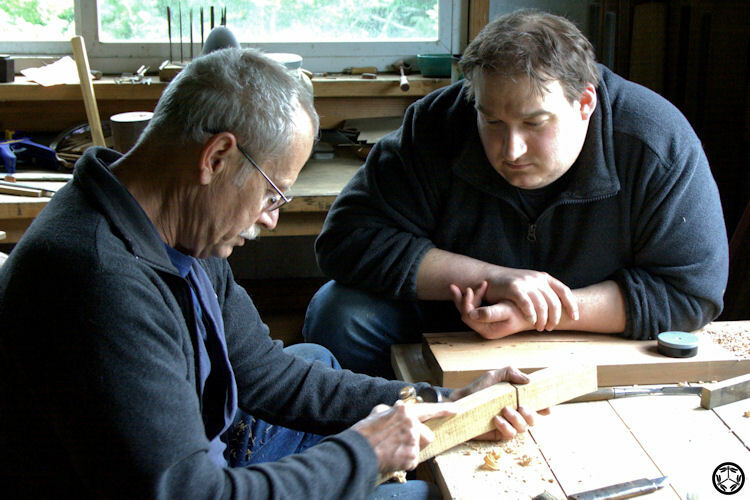 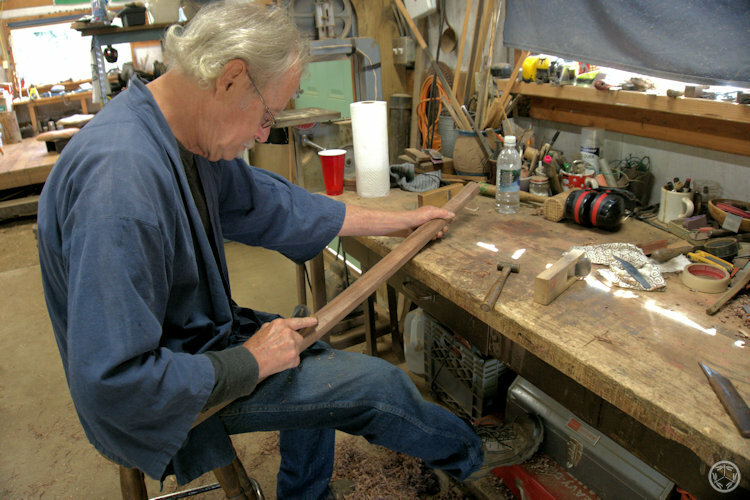 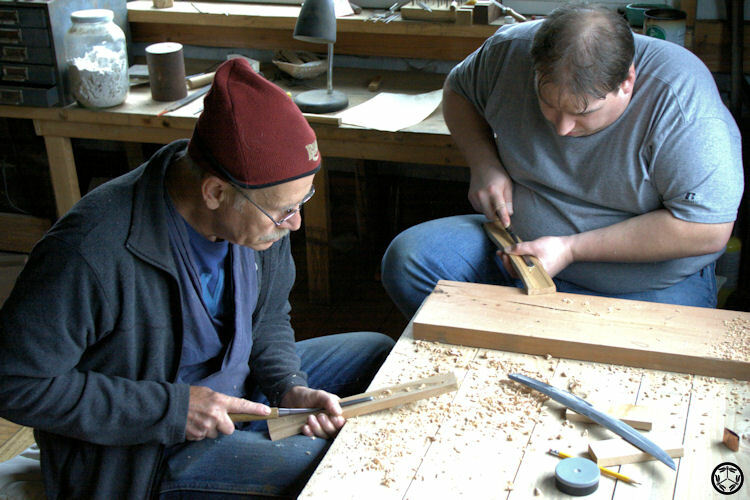 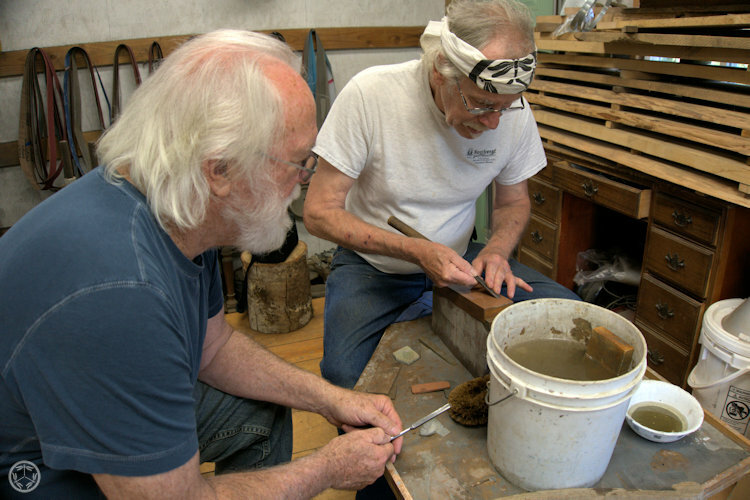 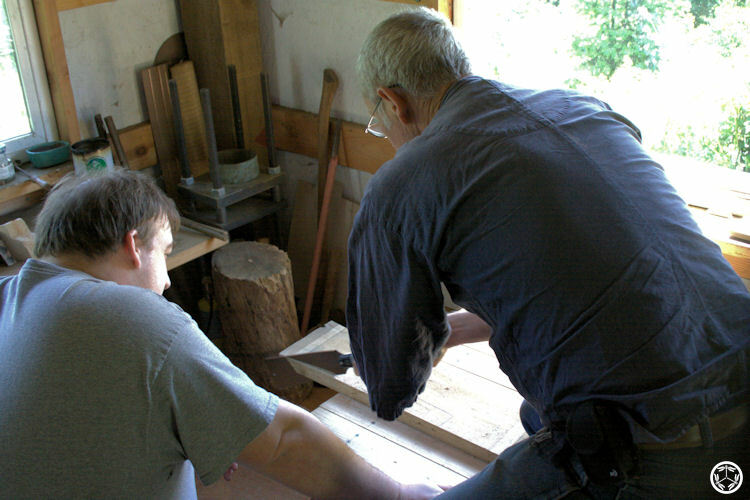 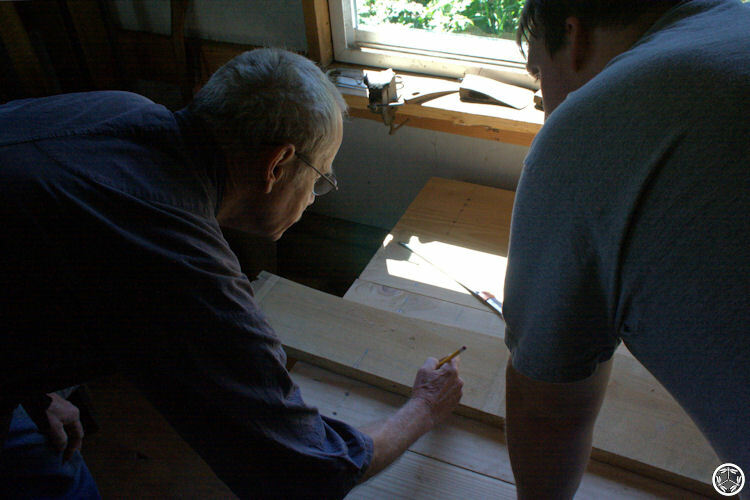 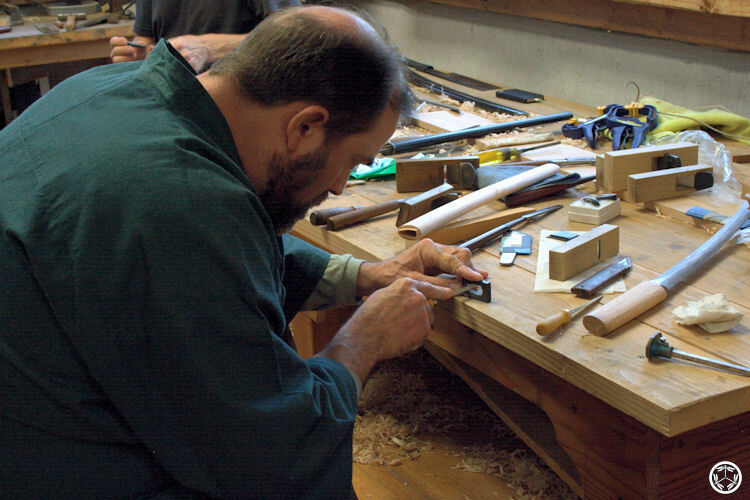 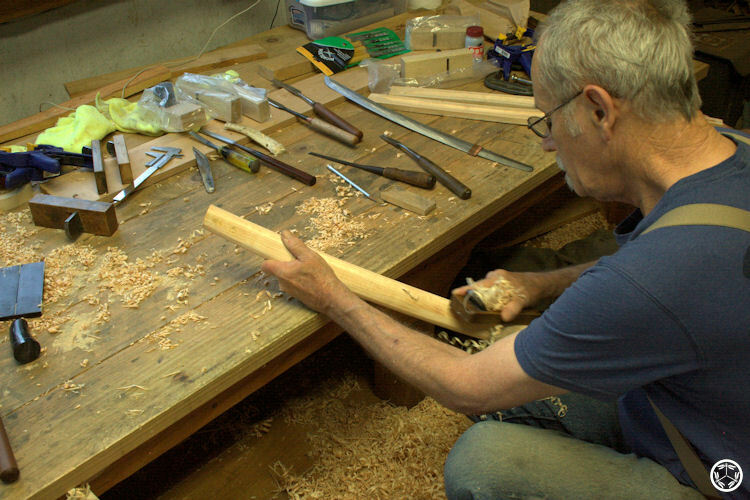 Tools used are traditional saws, chisels, knives, and planes and will be on hand for students. 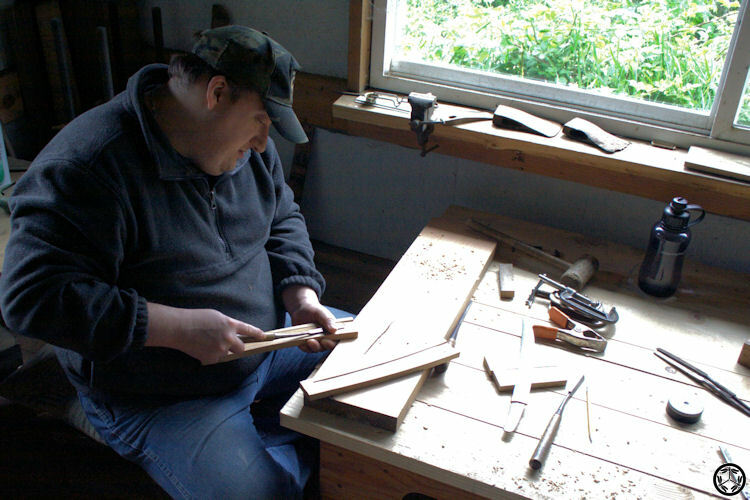 Alder wood will be provided, although students may bring their own. 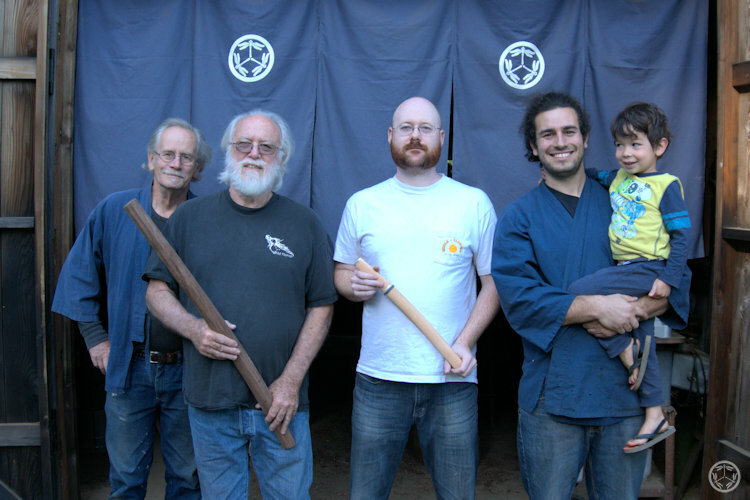 Tools and materials will be provided, but students should have their own sword blades with a well-fitted habaki, plus tsuba and fuchigashira. 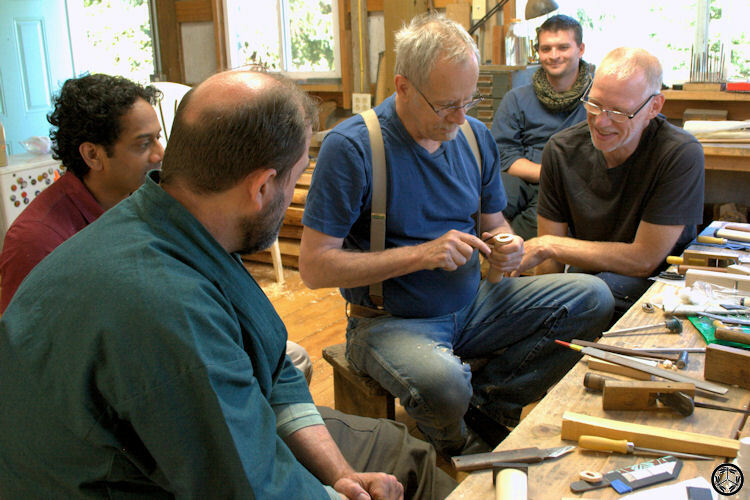 The price of the course is $1450 and is limited to four students. 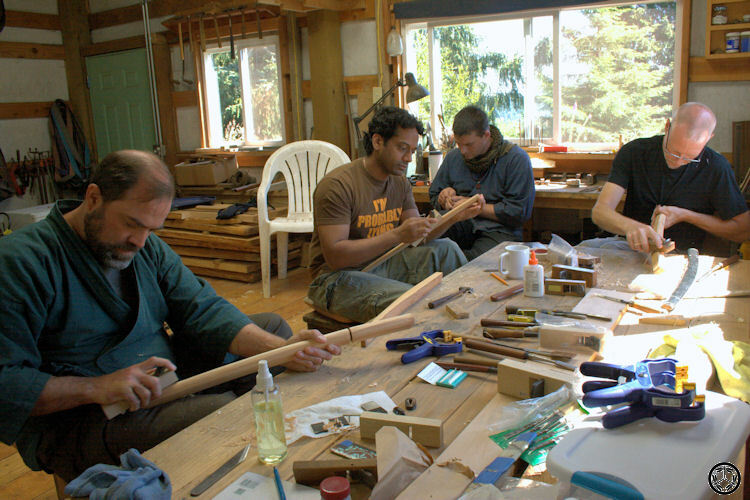 A deposit of $450 is requested, refundable up to 60 days before session begins.